Melatonin 500mcg seeks to support melatonin levels already within the normal range. Melatonin is a hormone produced in the pineal gland and is responsible for helping to regulate sleep. The pineal gland is located behind the eye and is influenced by the amount of light in the environment. 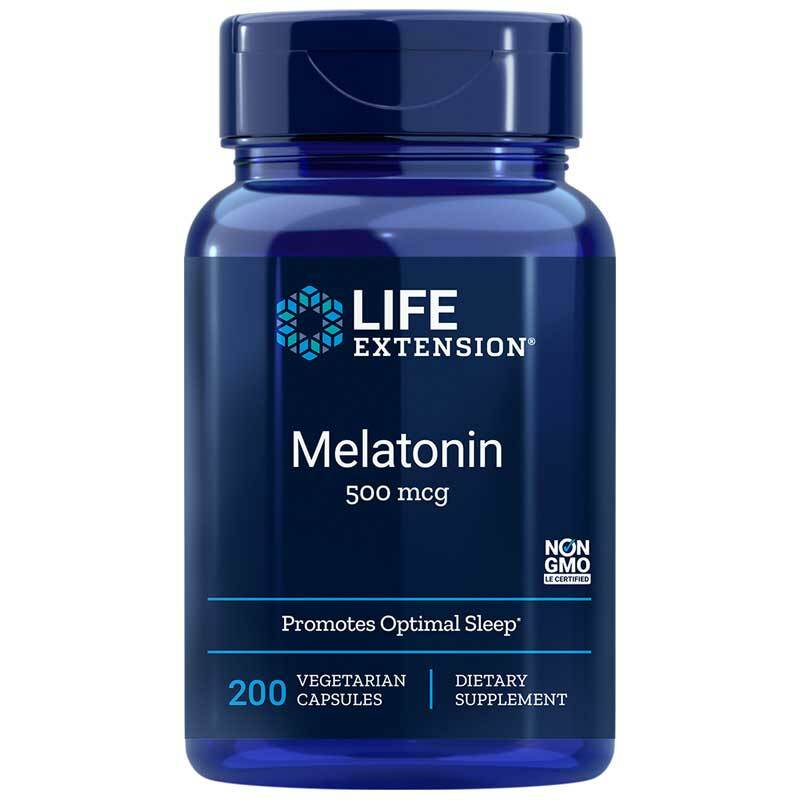 During nighttime, melatonin production rises and supports your biological clock. The right amount of sleep helps cognition, focus and clarity during daily work and other activities. There are four stages of sleep that lasts for a varying amount of time. The four stages are: NREM 1 (“light” sleep), NREM 2, NREM 3 (“deep” sleep) and REM (dreaming). Each stage contributes to a healthy brain and immune system. Stress, diet and internal challenges may disrupt the normal production of melatonin. 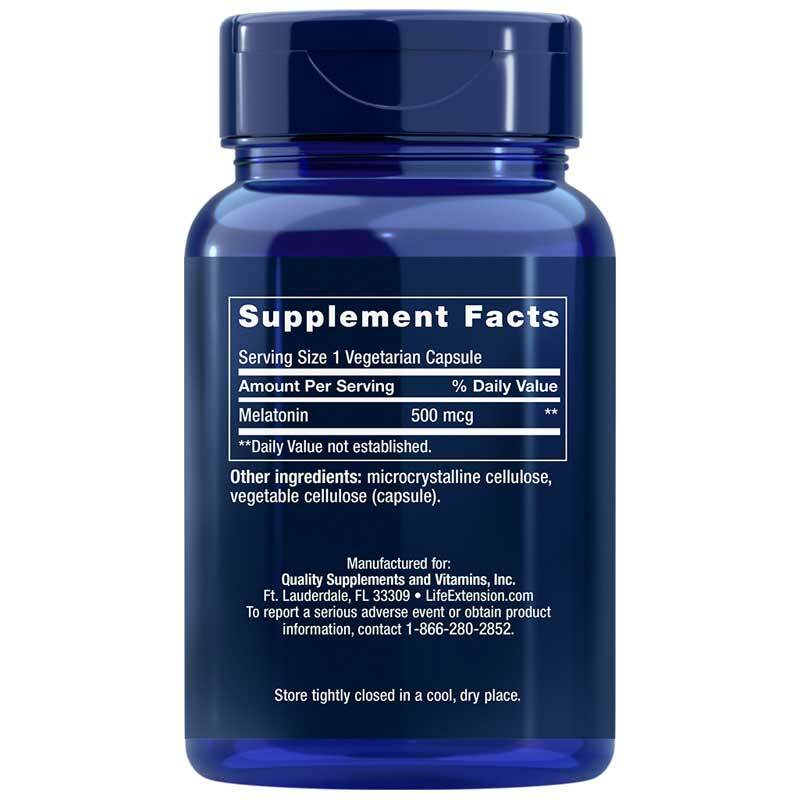 This supplement seeks to fill in those gaps so you can maintain a healthy sleep cycle. If feelings of restfulness allude you, this melatonin supplement may help. Adults: Take one (1) capsule 30 to 60 minutes before bedtime, or as recommended by a healthcare practitioner. More may be taken if needed. Melatonin is naturally secreted from the pineal gland at night, and should be taken at night for optimal results. Consult your healthcare provider before taking this product if you are being treated for a medical condition (especially autoimmune or depressive disorders). Use caution if combining with alcohol. This product is not intended for children, pregnant or lactating women, or women trying to become pregnant. Do not attempt to drive or operate heavy machinery after taking this product. Do not exceed recommended dose. Keep out of the reach of children. When using nutritional supplements, please consult with your physician if you are undergoing treatment for a medical condition or if you are pregnant or lactating.